1980 Larry Wilkins (WLBF’s longtime contract engineer) and his employer were listening to a Christian FM station while in Pensacola, Florida, on business and felt a need for programming such as this in Montgomery. 1981 The non-profit corporation, Montgomery Educational Radio, Inc. was registered with the state of Alabama. Original board members were Charlotte Brown, D.G. Markwell, Greg McKinnon, and Larry Wilkins. 1983 After overcoming numerous obstacles on the path to approval, God worked a miracle and the Federal Communications Commission granted approval for a non-commercial radio license. The call letters, WLBF, were chosen, standing for "We Live By Faith". 1984 WLBF signed on the air at 89.1FM, after an extensive fund-raising effort for start-up expenses. 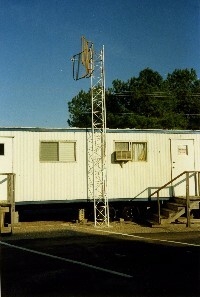 The station operated from trailer space donated by Frazer United Methodist Church on its property, using an automation system donated by a local broadcast company, which also provided free tower space. 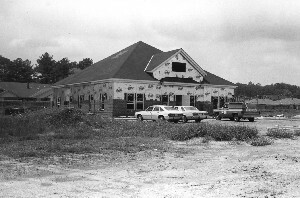 1988 WLBF moved in to its current office and studio space on Mendel Parkway. Due to God's provision, the new building and grounds were completely paid for before the ribbon cutting ceremon y was held! 1989 Power was increased to 100,000 watts at an increased tower height of 600 feet, to cover a more significant potion of South Central Alabama. 1991 WLBF launched its first daily live, locally-produced program, "Morning Praise". 1994 At the request of a number of Christians in the Andalusia area, Faith Radio's first translator was placed on the air at 91.5FM. 1994 To reflect the regional nature of the ministry that God had established, WLBF "Faith 89" began to use the name, Faith Radio. 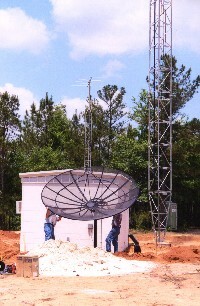 1996 WSTF signed on the air in Andalusia, boosting our coverage to the surrounding areas of South Alabama with a power of 5000 watts. 1996 Translators were signed on the air in Dothan (90.3FM) and Eufaula (91.9). 2002 WDYF went on the air, serving Dothan and surrounding areas with 9200 watts, enabling Faith Radio to be heard in Southeast Alabama, parts of Northwest Florida, and Southwest Georgia. 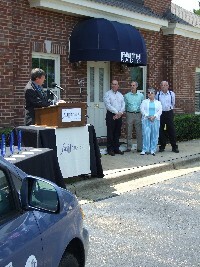 2007 Faith Radio expanded its reach to include current translators in Thorsby/Jemison (96.9FM), Sylacauga (94.1FM), and Alexander City (94.1). 2011 As the result of our "PowerUp 4X" campaign, WSTF was able to increase its power to 20,500 watts.